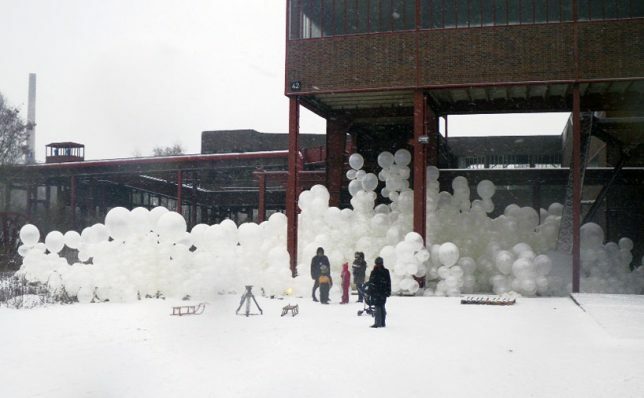 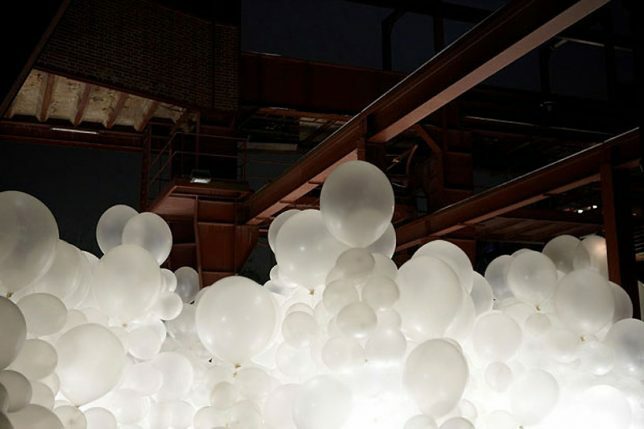 German collective RaumLaborBerlin installed ‘Soap Opera,’ a dense cloud of white latex balloons, at the base of a former coal mining tower in Ruhr, Germany to evoke a ‘cleansing process.’ Visitors experienced the space by literally walking right into the foamy cloud of balloons, dispersing them and ultimately dissolving the installation. 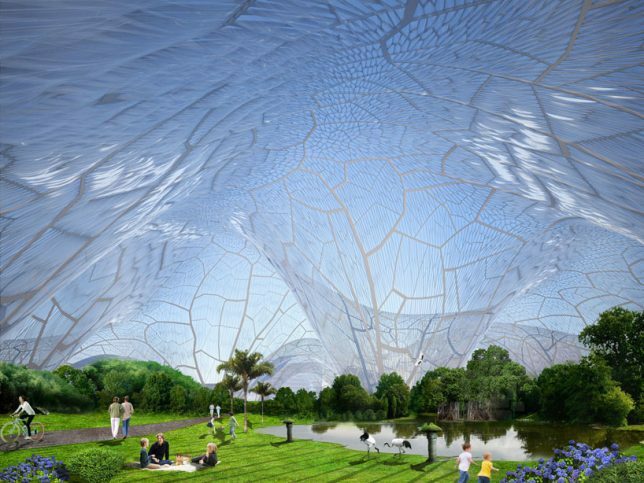 This park concept turns the concept of ‘living in a bubble’ into physical reality, enclosing parks within massive transparent membranes to improve the air quality. 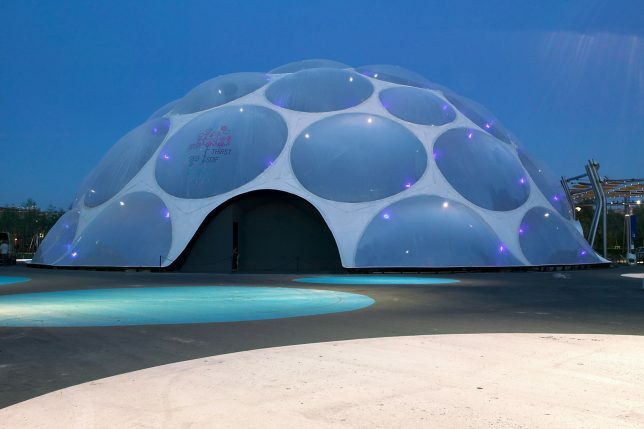 ‘Bubbles’ by Orproject references Buckminster Fuller with its lightweight, affordable canopy system. 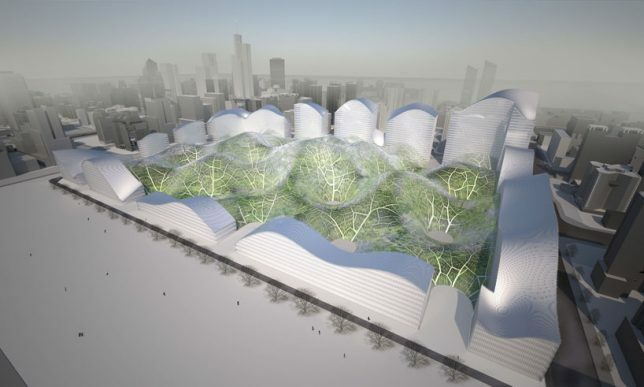 The geometry of the design is generated with algorithms imitating the veins in leaves and butterfly wings. 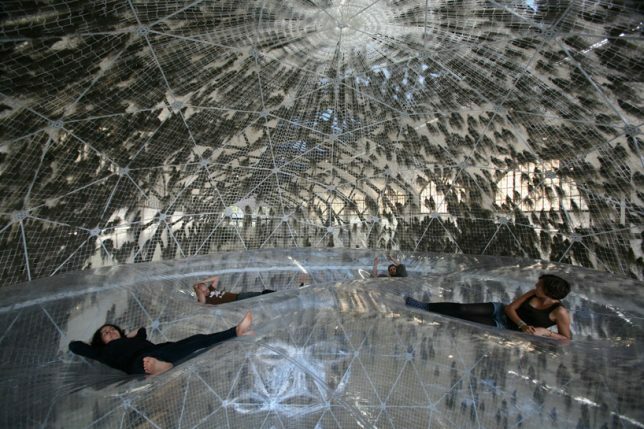 ‘Thirst Pavilion’ by Enric Ruiz-Geli of Cloud 9 aims to find balance between science and fiction, featuring giant transparent bubbles meant to mimic the look of water on top of a salt mountain. 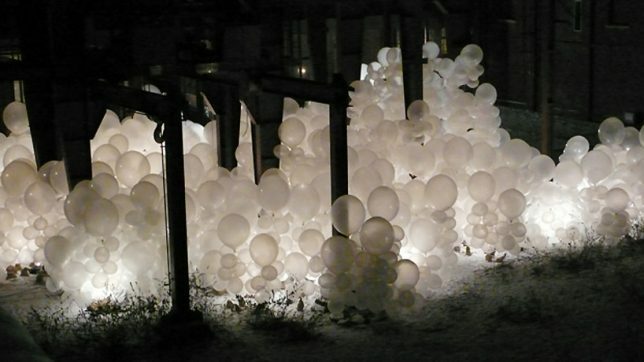 Those bubbles may look like sacs full of water, but they’re actually inflated. 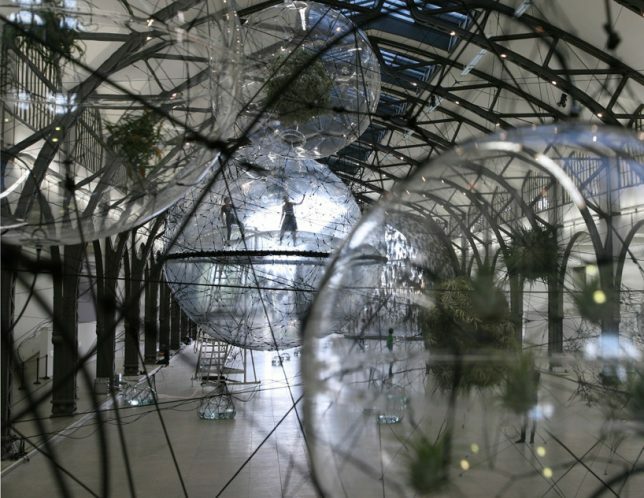 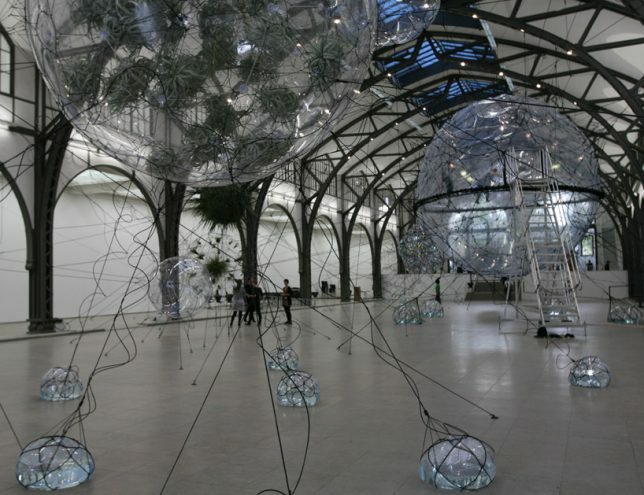 Artist Tomás Saraceno brought his traveling installation ‘Cloud Cities’ to the Hamburger Bahnhof museum in Berlin, creating a series of interconnected, interactive inflated shapes and spiderweb-like gardens. 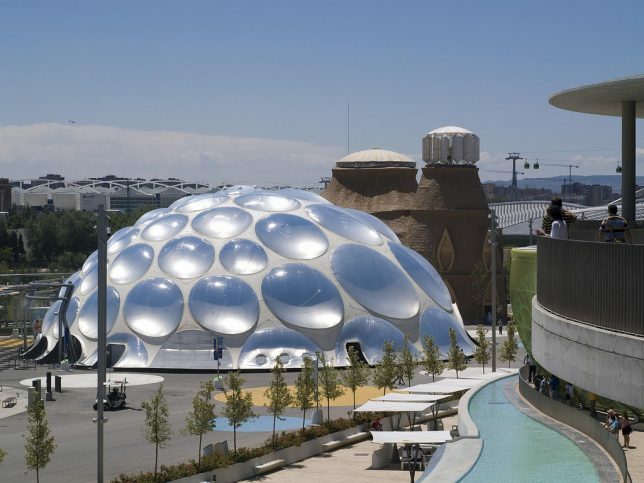 Museum patrons lounge on the bubble surfaces and examine inflatables full of plants, which are tethered to the ground with smaller water-filled weighted bubbles.